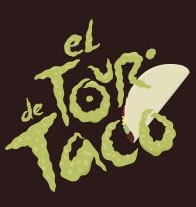 So an old college friend, Tishon is setting up a 40 mile taco/bike tour this weekend. **And if youre in Brooklyn, looking to ride with a group, join Anita (Brooklyn By Bike) and me at Grand Army Plaza Arch at 10:30AM SHARP! We'll ride into Manhattan with you!